Sonoma County serves high quality wine with hospitality. And our Sonoma Wine Tours show you a whole world of possibilities. For example, we will drive you along the Pacific coastline and through redwood forests. 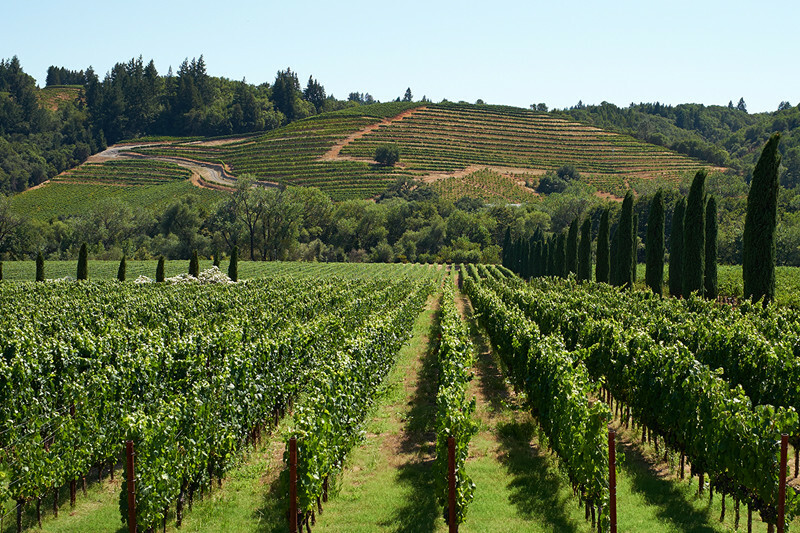 With almost perfect weather and diverse lands, Sonoma County creates legendary wines. From its natural beauty to its comfortable setting, the location is a hot spot for wine tasting enthusiasts around the world. In fact, more than 370 wineries call the county “home.” TripAdvisor even named Sonoma County the best U.S. wine tours destination in October 2012. Besides a private tour through Sonoma County’s American Viticulture Areas (AVAs), you’ll get a crash course on fine wines. Pinots: Between the Russian River and Sonoma Coast, you’ll find drinks ranging from fruity and light to bold and complex. Taste the earthy layers and smell smoked meats. Cabernet Sauvignon: Within the Alexander Valley, we’ll stop at places that serve the best red wines. Zinfandel: Then, Dry Creek will give you Zinfandels you won’t be able to get out of your head after tasting. With wines as diverse as the landscape, you’ll find a drink to match your tastes in Sonoma County. But, variety doesn’t end with wine. On our Sonoma wine tours, you will pass livestock grazing upon landscape and chickens scratching in the pastures. Then, you’ll notice fruits, vegetables, and herbs painting the countryside. Next, we’ll visit local farms that sell everything from artisan cheeses to fresh pumpkins and berries. We can even set up a farm tour to see how local food goes from the garden to your plate. A strong supporter of sustainable agriculture, Sonoma County has an eat-fresh philosophy. 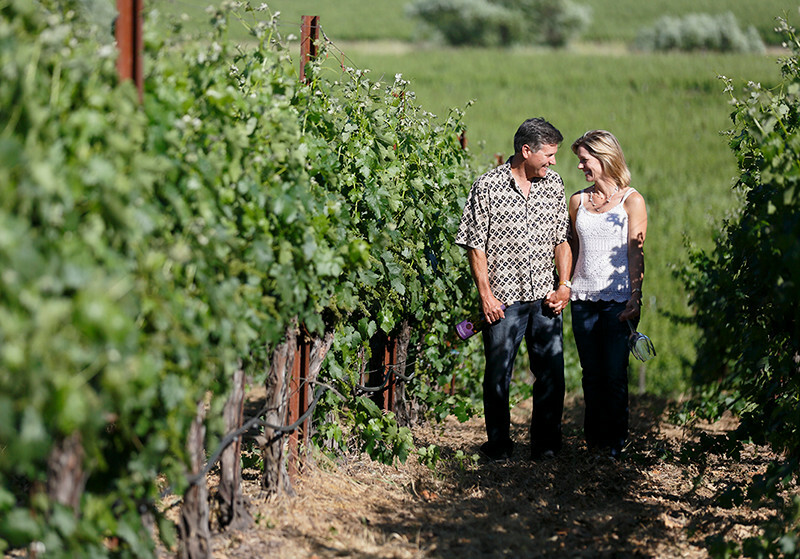 Are you ready to experience Sonoma County for yourself? Beyond our tours complete with dedicated transportation, many of the wineries we visit offer behind-the-scenes tours of their facilities. With exclusive wine tastings and unique sightseeing, you won’t want to skip a chance to explore the culture Sonoma has to offer. Each of our tours are designed to give you the ultimate tasting of Sonoma wines. And if you want to design your own wine tour, be our guest! We can help you set up a custom wine itinerary. Call us today and we’ll help you build your dream wine tour of the Sonoma area. At the end of your private wine tasting trip, share a meal at one of Sonoma County’s best restaurants. Chefs create specialized menus using local produce and organic vegetables, cheeses, and olive oils. However, wine pairings are their specialty. If you have a larger group to transport, check out our bus and shuttle service for your Sonoma Wine Tours. Benzinger: As the Best Winery Tour of 2017 according to Wine Enthusiast, the winery provides a new type of wine tour. On their Biodynamic Wine Tours, a tractor pulls a tram around the property. From showcasing their Biodynamic techniques to diving into their wine cave, Benzinger is an experience you can talk about forever. Imagery Estate Winery: At this winery, you’ll come for the promise of rare grape varieties. But, you’ll stay for the 500+ pieces of local art that hang on the walls. Jordan Vineyard & Winery: With an estate of roughly 1,200 acres, this winery helped to define what a premium Cabernet Sauvignon should taste like. For a walk around preserved natural habitats for oaks, ducks, rabbits, turkeys, Jordan Vineyard & Winery is the place to visit.